Prong is an American metal band formed in 1986. Prong had two independent releases, Primitive Origins and Force Fed. The albums attracted the attention of Epic Records, who signed the trio in 1989. 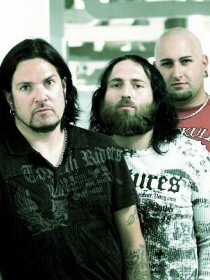 The group disbanded in 1997 after the Rude Awakening tour, but re-formed in 2002. To date, they have released eight studio albums, one live album, four EPs, one DVD and one remix album. A pioneer of the urban metal scene, Prong is fronted by Tommy Victor. Korn's Jonathan Davis, Demon Hunter's Ryan Clark, and Nine Inch Nails' Trent Reznor cite Prong as an influence to their musical style.